Hatred of the brethren makes room next for Antichrist; for the devil prepares beforehand the divisions among the people, that he who is to come may be acceptable to them. But God forbid that any of Christ’s servants here, or elsewhere, should run over to the enemy! You say, ‘heretics are Christians just the same.’ Where did you take that from? 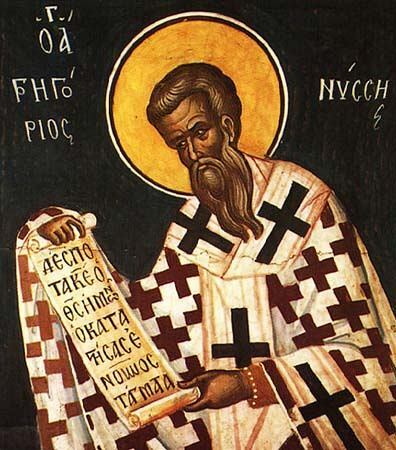 Perhaps someone or other calling himself a Christian while knowing nothing of Christ, may in his extreme ignorance decide to acknowledge himself as the same kind of Christian as heretics, and fail to distinguish the holy Christian faith from those offspring of the curse, blasphemous heresies. Quite otherwise, however, do true Christians reason about this. 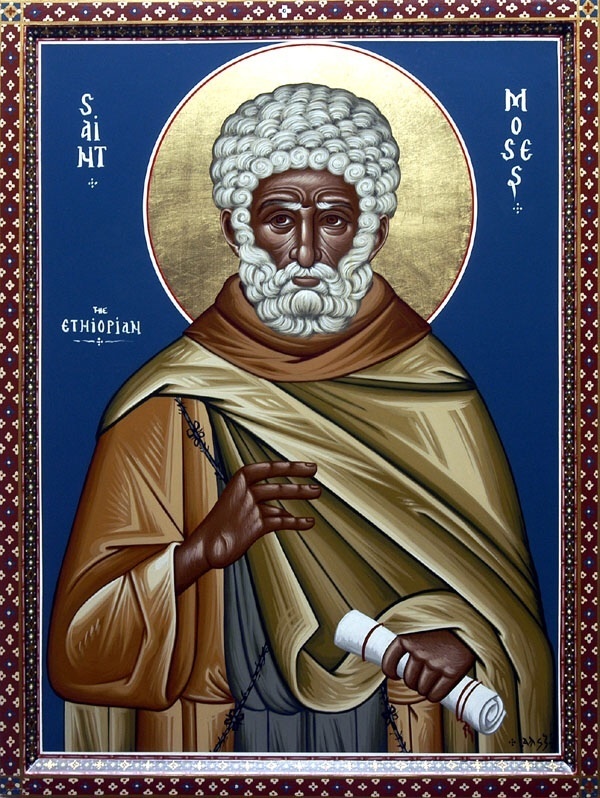 A whole multitude of saints has received a martyr’s crown, has preferred the most cruel and prolonged tortures, prison, exile, rather than agree to take part with heretics in their blasphemous teaching. I toured Italy for two weeks and Assisi was one of the scheduled stops so I got the opportunity to see this peculiar fresco pretty closely. Our tour guide pointed out the recent discovery of a demonic face in the cloud beneath the ascending Roman Catholic saint. I asked the guide the significance of the demonic image and she stated that it symbolized an old belief that held that demons in the air tried to impede souls on their way to heaven. For a complete treatment of this particular topic, purchase Jean-Claude Larchet’s comprehensive work Life After Death According to the Orthodox Tradition. 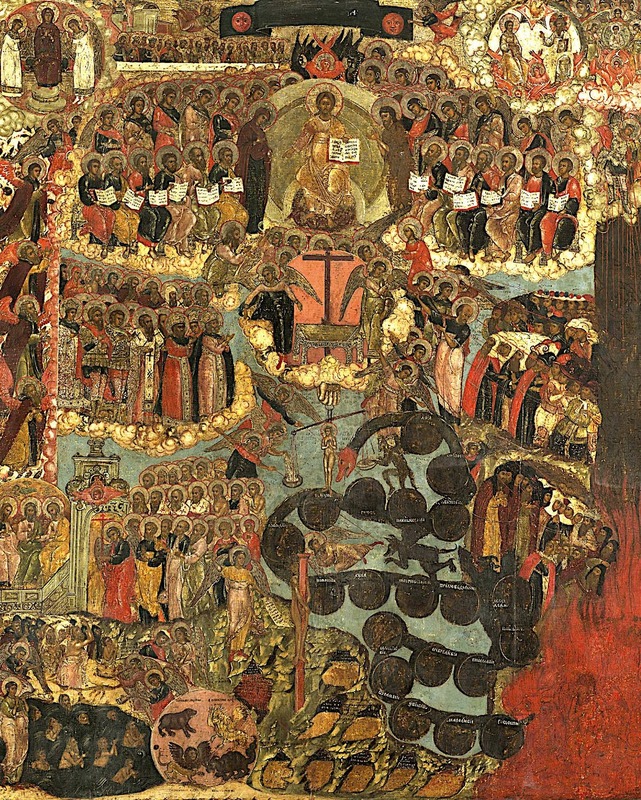 Read the article below and see the images to observe how the Orthodox teaching on the intermediate state must have persisted in the West even after the Schism. The smirking face of the Devil has been discovered hidden in a fresco by the Italian medieval artist Giotto after remaining undetected for more than 700 years in the Basilica of St Francis in Assisi. The Satanic image went unnoticed until now because it is artfully hidden in the folds of a cloud and is invisible from ground level. 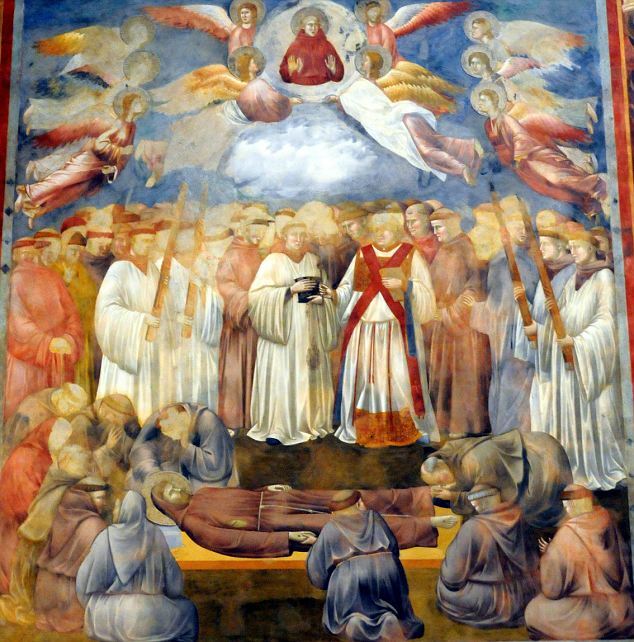 The discovery of the face, in a fresco which depicts the death of St Francis, was made by Chiara Frugoni, a medievalist and an expert on the saint. “It’s a powerful portrait, with a hooked nose, sunken eyes and two dark horns,” Ms Frugoni said in an article in a forthcoming issue of the St Francis art history periodical. 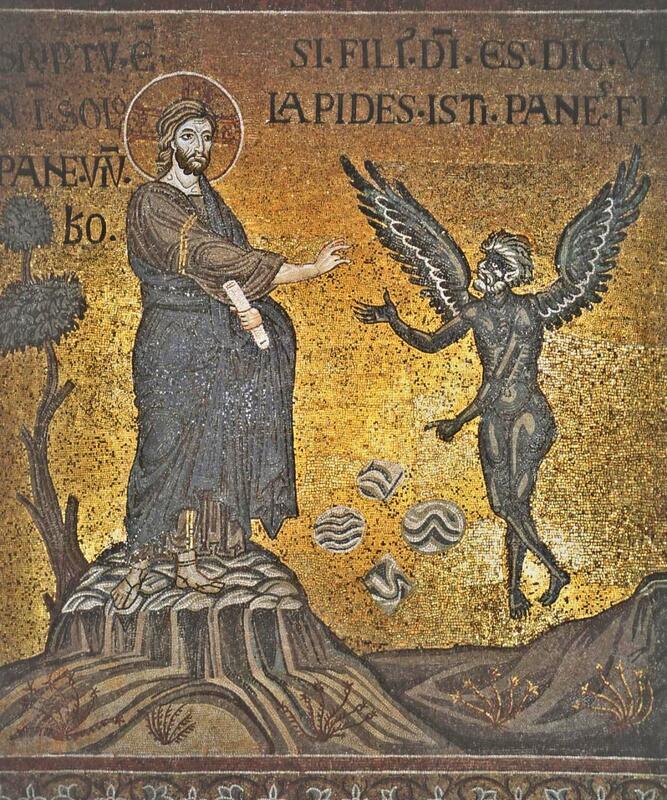 Sergio Fusetti, the head of the restoration work in the basilica, said the devil face may have been a dig at somebody the artist had quarrelled with. Millions of pilgrims and tourists have trooped through the basilica in Assisi, in Umbria, since the fresco was painted in the 13th century without noticing the devil’s face. 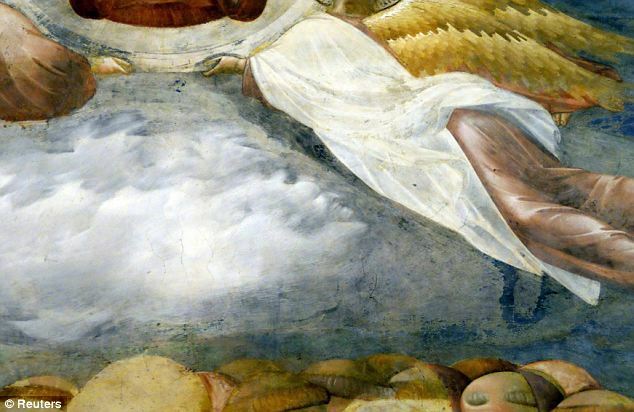 Close-up of the demonic face in the cloud discovered by medievalist expert Chiara Frugoni. 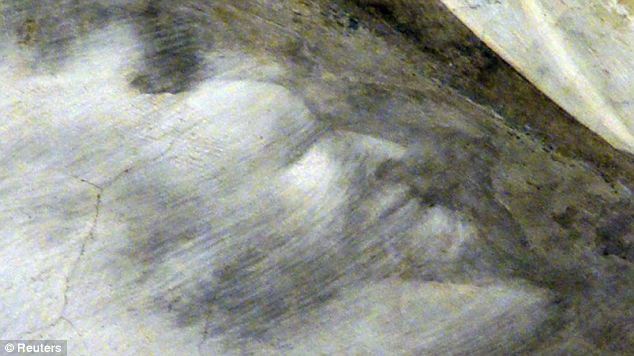 It was only discovered during restoration of the fresco, the 20th in a series of images of St Francis’s life and death by Giotto. 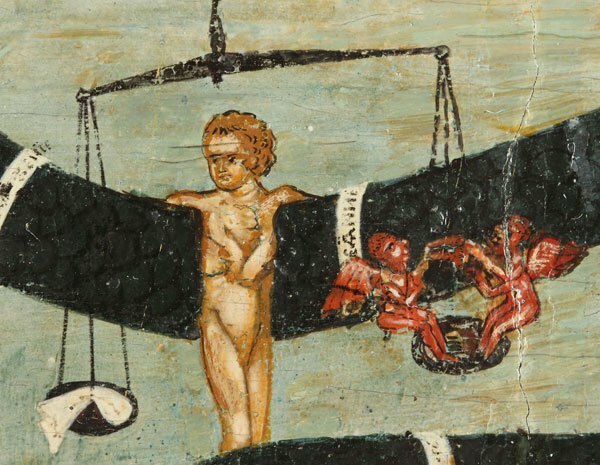 It is therefore evident: a) That the toll-houses represent the inevitable path that all human souls, both evil and good, make during the transition from temporal life to the eternal lot; b) that at the toll-houses, during this transition, every soul, in the presence of angels and demons, before the eye of the all-seeing Judge, gradually and in detail is interrogated concerning all its deeds, both bad and good, c) that as a result of this interrogation, this detailed examination of every soul concerning its previous life, souls that are good, who have been acquitted at every toll-house, will be lifted up by the angels into the heavenly abodes, while the souls of sinners, being detained in one or another of the toll-houses, having been accused of wickedness, are dragged, upon the sentence of the unseen Judge, by demons to their dark dwelling-places (). And, therefore, the toll-house is nothing other than the particular judgment, which is performed on human souls invisibly by the Lord Jesus Himself through the angels, and admitting to the this also the accusers of our brethren (Rev. 12, 10), the evil spirits, — the judgment, at which the soul is reminded of all its deeds which are impartially evaluated before it, and after which is determined its known outcome). 2) It is said that, on separation from the body, a person”™s soul, making its way into the upper world through the ethereal space, continually meets fallen spirits there. And the word of God witnesses that the air is as if filled with the spirits of wickedness in the heavenly spheres (Eph. 6, 12), naturally, filled not physically, but spiritually () – that their prince is a prince of the power of the air (Eph. 2, 2), and that, therefore, the soul of man, as soon as it comes out of the body, inevitably comes into their area. 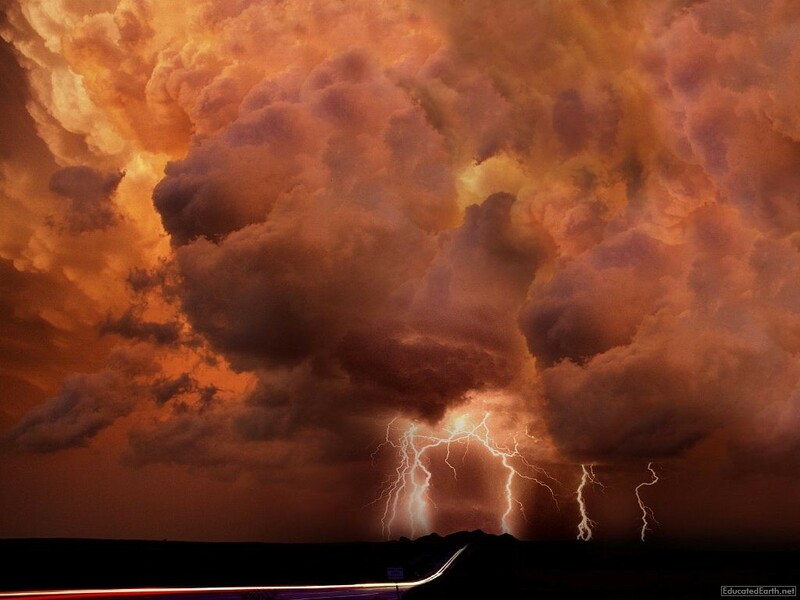 [T]he demons can only do superficially, that is, under the force and great compulsion of God’s almighty power. But they cannot do these things interiorly, that is, voluntarily and willfully, by the consent of their free will. Wherefore, even if they say that they believe: “Even the demons,” says James the Brother of God, “believe and shudder” (Jas. 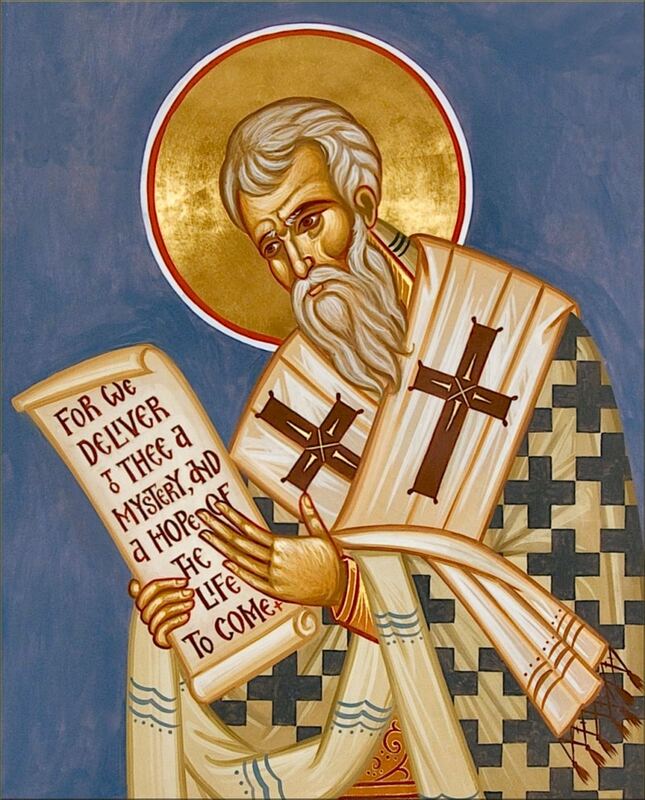 2:19), their faith is not an unhesitating consent to the commands of God, as Basil the Great defines faith. And even if they confess the truth, and even if it seems from some outward appearances that they rejoice, or that they submit to God, all these things are done by compulsion, and by force, without the consent of their free will. As for you, my son, shun the satisfactions of this age, so as to be happy in the age the come. Do not be negligent, letting the days pass by till unexpectedly they come looking for you and you arrive at the straits of your anguish and the ‘horror-faces’* surround you and drag you off violently to their dark place of terror and anguish. Do not be sad when you are cursed by men; be sad and sigh when you sin — this is the true curse — and when you go away bearing the sores of your sins. …if the devil for his part whispers…do not give in to his clever talk. [If you should,] the Spirit of God would leave you, and you would become weak without strength, like Samson, and strangers would put you in chains and lead you off to the mill, that is, to the grinding of teeth (Mt. 8:12). You would be for them the object of mockery, that is, they would laugh at you; you would not know the way to your city because they would have gouged out your eyes, for you have opened your heart to Delilah, that is, the devil, who has taken you by wile, because you have neglected the counsels of the Spirit. * These ‘horror-faces’ are the servants of Abbaddon, the angel of death (Rev. 9:11); they have the mission of making the soul of the dying man come out by frightening him with their terrifying aspect. (see L. T. Lefort, Oeuvres, [CSCO-160], p. 7). Zec. 3:1-3 And the Lord showed me Joshua the high priest standing before the Angel of the Lord, and the Devil stood on his right hand to resist him. And the Lord said to the Devil, The Lord rebuke you, O Devil, even the Lord that has chosen Jerusalem rebuke you. Behold, is not this as a brand plucked from the fire? The following awesome vision clearly reveals the great benefit and salvation which comes from the study of edifying books, and hence the enmity which the demons have towards them, in that these books destroy their snares and devices. 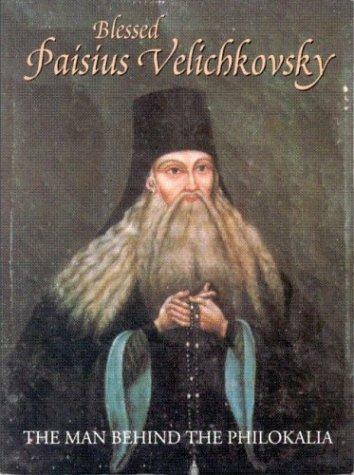 The vision was revealed some hundred years ago to a pious abbot of the Monastery of Niamets, which had been founded by the saintly Paisius Velichkovsky. 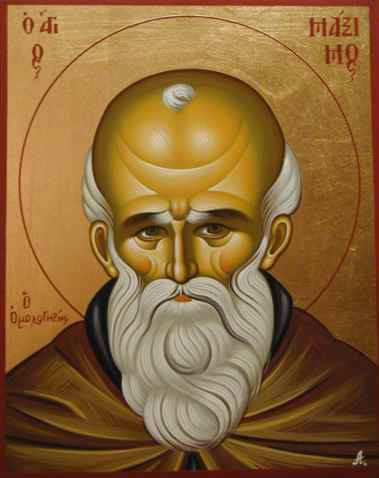 Some years after the repose of the righteous Paisius, the austerity of the monastery’s life began to grow lax, on the one hand because of the great wealth it had acquired, and on the other because of the great freedom that was allowed to people of the world who came to visit the monastery. Some came with their whole families to stay in the monastery for two or three months during the summer, spending their time in various worldly entertainments. The monks became negligent in their rule and began rather to care for their vineyards and gardens in the monastery’s holdings. 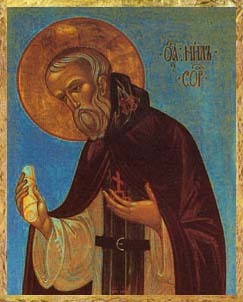 One of the disciples of the saintly Paisius, Sophronius by name, being the abbot at the time, led an austere spiritual life. One night, thinking that it had already dawned, Sopronius went out by the monastery’s gate and looked towards the outer gate, at the place where the holy spring lies today. There he saw a man, black in appearance and fearful in form. He wore the garb of a military officer and cried loudly, as officers do when they are giving commands to their troops. His eyes were blood red and shone like flames of fire. His mouth was like that of an ape and his teeth protruded from his mouth. At his waist he had entwined around him a large serpent, whose head hung down with its tongue hanging out like a sword. On his shoulders there rested “galoons” shaped like the heads of asps and on his head he wore a hat, from which venomous snakes extended their bodies and wrapped themselves like hair around his neck. 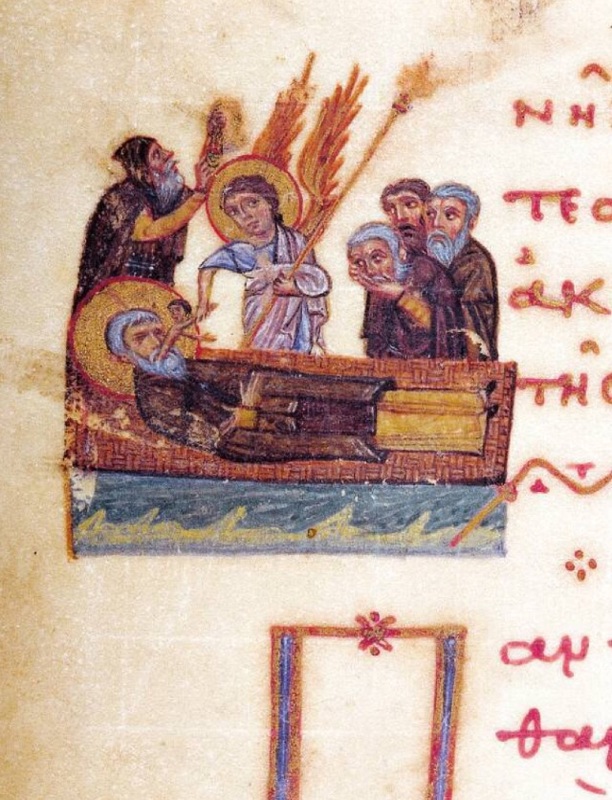 When the abbot Sophronius saw this, he became petrified from fear. After a while, he came to himself somewhat and asked the officer of darkness what he sought on the monastery’s premises at such an hour. “Can it be that you do not know that I am Chief Commander here in your monastery?” answered the black one. “We have no army here, and our country is enjoying a period of profound peace,” replied the abbot. “Then be it known to you,” answered the black one, “that I am sent from the unseen hosts of darkness and we are here to wage war against the monastic order. When you make your promises at your tonsure, you declare an unseen war on us and you inflict many wounds on us with your spiritual weaponry. 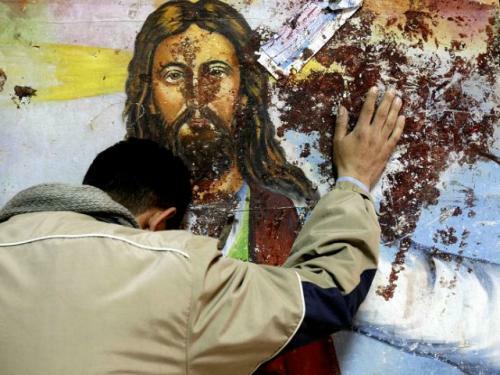 Many times, we retreat in shame, since the flame of your prayers burns us. 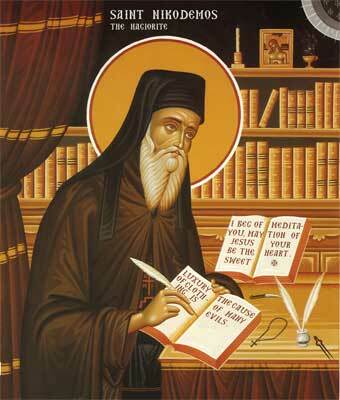 Now, however, we no longer fear you, especially ever since Paisius, your abbot, died. He terrified us and we suffered much at his hands. Ever since he came here from the Holy Mountain with sixty other monks, I was sent with sixty thousand of our own troops to stop him. As long as he was in charge, we had no rest. In spite of all the temptations, devices and snares that we tried against him and his monks, we availed nothing. At the same time, the tongue of man cannot tell the terrible afflictions, hardships and trials we suffered during that man’s sojourn here. He was an experienced soldier and his strategies always caught us off our guard. 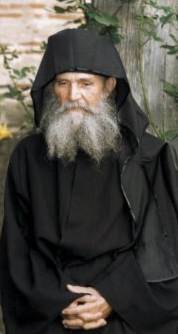 When the Abbot Sophronius heard these things, he groaned within himself and asked the black one: “What further need have you to remain in the monastery, seeing how, as you yourself confess, the monks have given up their fight? What further work is left for you here?” Then, being constrinaed by the might of God, the ugly one revealed his secret. 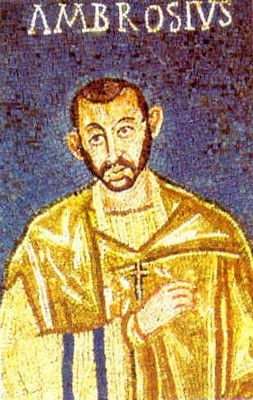 We can then see clear reasons, in addition to those ideas which we expounded above, why they are called principalities or powers; viz., because they rule and preside over different nations, and at least hold sway over inferior spirits and demons, of which the Gospels give us evidence by their own confession that there exist legions. For they could not be called lords unless they had some over whom to exercise the sway of lordship; nor could they be called powers or principalities, unless there were some over whom they could claim power: and this we find pointed out very clearly in the gospel by the Pharisees in their blasphemy: He casts out devils by Beelzebub the prince of the devils, Lk. 11:15 for we find that they are also called rulers of darkness, Eph. 6:12 and that one of them is styled the prince of this world. Jn. 14:30 But the blessed Apostle declares that hereafter, when all things shall be subdued to Christ, these orders shall be destroyed, saying: When He shall have delivered up the kingdom to God even the Father, when He shall have destroyed all principalities and powers and dominions. 1 Cor. 15:24 And this certainly can only take place if they are removed from the sway of those over whom we know that powers and dominions and principalities take charge in this world. For no one doubts that not without cause or reason are the same titles of rank assigned to the better sort, and that they are names of office and of worth or dignity, for it is plain that they are termed angels, i.e., messengers from their office of bearing messages, and the appropriateness of the name teaches that they are archangels because they preside over angels, dominions because they hold dominion over certain persons, and principalities because they have some to be princes over, and thrones because they are so near to God and so privy and close to Him that the Divine Majesty specially rests in them as in a Divine throne, and in a way reclines surely on them. Nikolas Alexandrovitch Motovilov, “Seraphim’s servant” as he liked to call himself, had been granted a miraculous healing and the further privilege of seeing with his own eyes St. Seraphim’s illumination by the light of Tabor or, in other words, by the grace of the Holy Spirit. 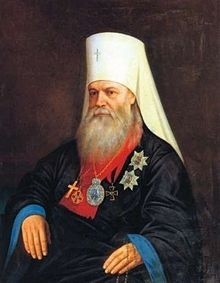 Being a fervent and sincere man, he wanted to perpetuate Father Seraphim’s memory. So he decided to visit Kursk (the saint’s birth-place) personally in order to collect information about his childhood and youth; he also wanted to visit the Kiev-Florovsky Monastery. 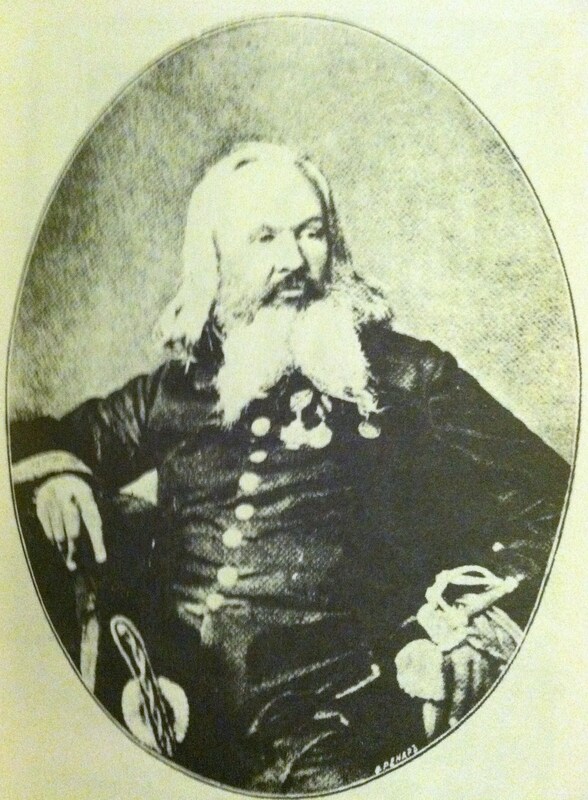 The journey had very sad consequences for Nikolas Alexandrovitch. 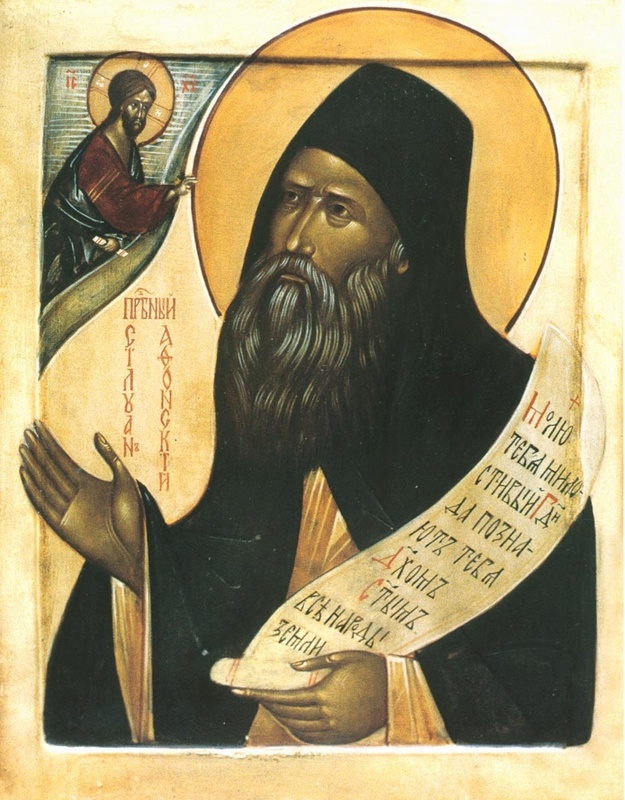 Through the permissive will of God, the enemy inflicted upon him an illness in revenge for his literary labours; for his writings served to enhance the fame of one of God’s Saints — Father Seraphim — to a very considerable extent. An uncanny feeling crept over Motovilov. While he was still under the saint’s protection he could defy Satan’s malice. But, by the permissive will of God, his reckless challenge did not remain unanswered. It was accepted. When Motovilov went to Kursk afer Father Seraphim’s death, he did not get much information about the childhood and youth of the saint. Of the near relatives who had known Father Seraphim as a child, some were dead, while others had forgotten the facts. 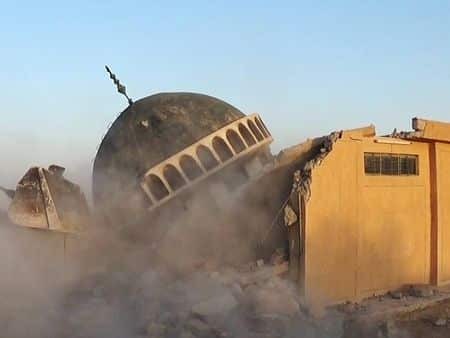 Even the house where the saint was born and brought up was destroyed, and new buildings had sprung up in its place. 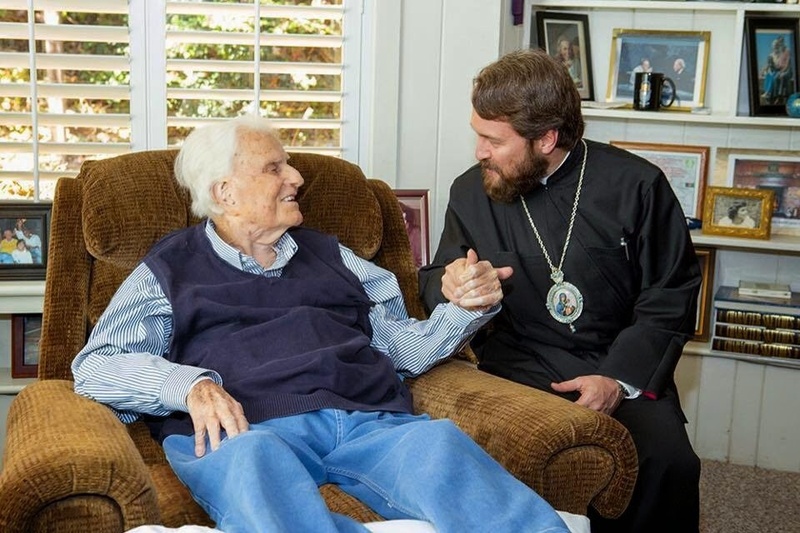 However, one old man was found who was a contemporary of Father Seraphim, and who supplied Motovilov with the facts which have been included in all the editions of the saint’s life. The actual journey to Kursk and his stay there were without mishap. The storm broke out on his way back to Voronezh. Motovilov was obliged to spend a night at one of the post-stations on the road from Kursk. As he was quite alone in the room for travelers, he took his manuscripts out of his suitcase and began to sort them out by the dim light of a single candle which scarcely lit up the spacious room. One of the first records he discovered contained a description of the cure of possessed lady of noble parentage called Eropkin at the Shrine of St. Metrophan of Voronezh. At that very moment he was surrounded by a horrible, cold, evil-smelling cloud which began to makes its way into his mouth, while he made convulsive efforts to keep it tightly shut. 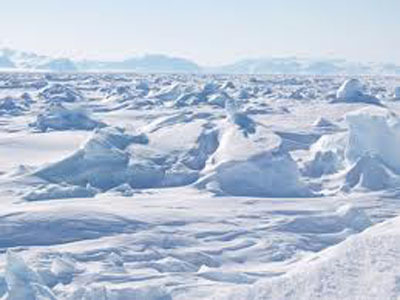 The unhappy Motovilov struggled desperately, trying to protect himself from the stench and icy cold cloud of the cloud which was gradually creeping into him. In spite of all his efforts it got into him completely. “The Lord granted me to experience in my own body, and not in a dream or apparition, the three torments of hell. The first was that of the fire which gives no light and which can be extinguished only by the grace of the Most Holy Spirit. This agony lasted for three days. I felt myself burning, yet I was not consumed. Ten or eleven times a day they had to scrape off the hellish soot which covered my whole body and was visible to all. 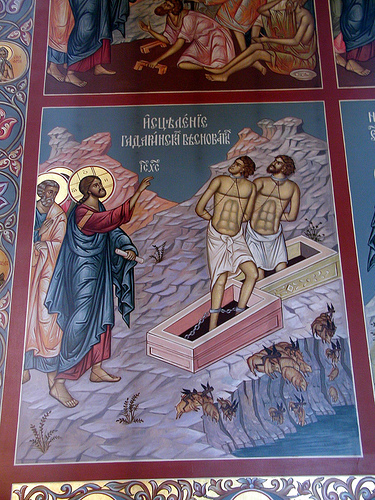 This torture ceased only after Confession and Holy Communion, through the prayers of Archbishop Anthony of Voronezh who ordered litanies to be said for the suffering servant of God Nikolas in the forty-seven churches and monasteries of his diocese. Then I was tormented for two days by the unbearable cold of Tartarus, so that fire could neither burn nor warm me. 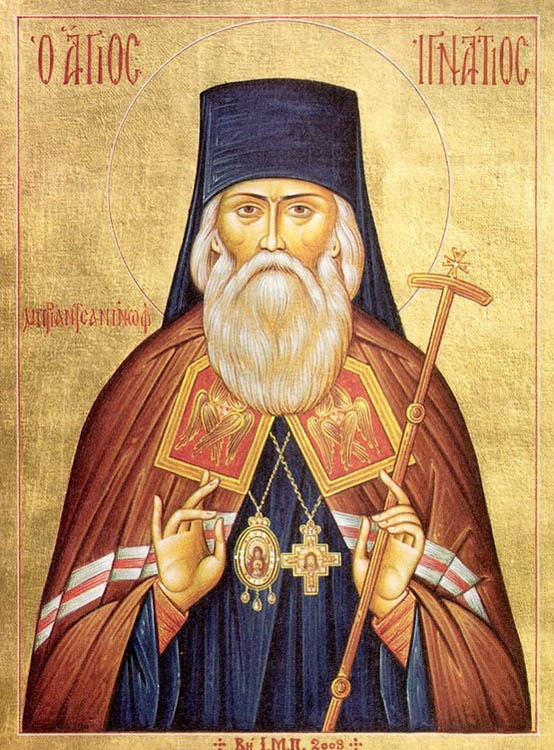 According to the wish of His Grace, Archbishop Anthony of Voronezh, I held my hand over a candle for about half an hour, and though it was thickly coated with soot, it did not get warm in the least. I described this experiment on a whole sheet of paper and signed it by stamping it with my sooty hand. Both these torments were visible to all; yet with the help of Holy Communion I could partake of food, drink and sleep to some extent. 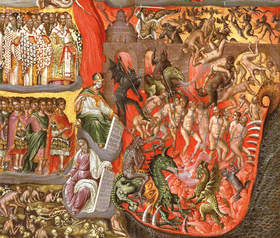 But the third torment of Gehenna, though it was still shorter by half a day, for it lasted only a day and a half (possibly a little more), caused me the greatest terror and suffering as it was something indescribable and incomprehensible. It is a wonder that I remained alive! This torment also disappeared after Confession and Holy Communion. This time Archbishop Anthony himself administered the Holy Sacrament to me with his own hands. This torment was the undying worm of Gehenna. The worm in this case was visible only to Archbishop Anthony and myself. But my whole body was riddled with this pernicious worm which crawled through the whole of me and in an indescribably frightful manner gnawed at my vitals. Though it crawled out through my nose, mouth and ears, yet it went back in again. However, God gave me some power of it, and I could take it into my hands and stretch it like rubber. 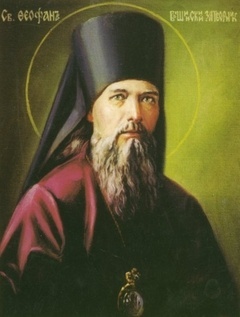 Soon after this terrible test which is beyond the experience of ordinary men, Motovilov had a vision of his patron St. Seraphim who had comforted the sufferer with the promise that he would be cured at the exposition of the relics of St. Tikhon of Zadonsk and that until that time the devil residing in him would not torment him so cruelly. 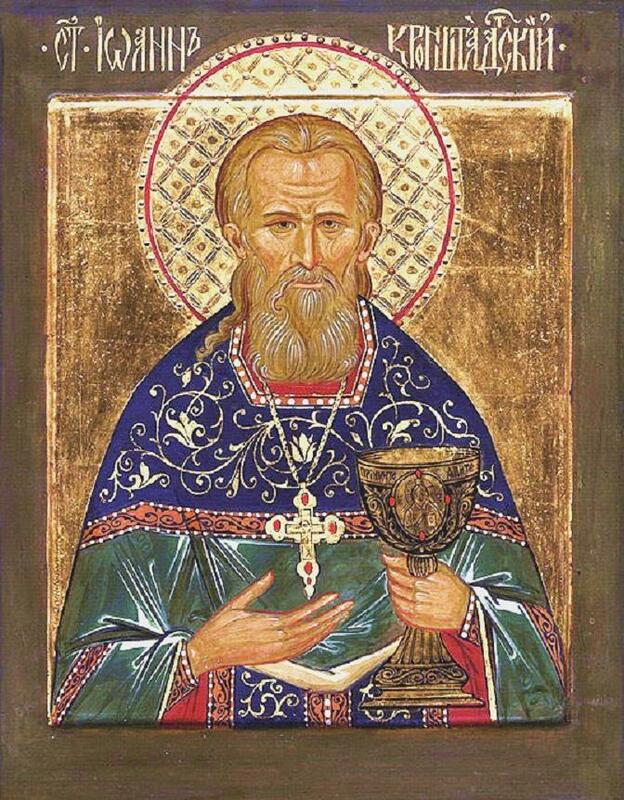 The expostiton of the relics of St. Tikhon actually took place thirty years later, and Motovilov lived to see it and was in fact cured according to his great faith. Just as the Lord is solicitous about our salvation, so too the murderer of men, the devil, strives to lead a man into despair. A lofty and sound soul does not despair over misfortunes, of whatever sort they may be. Our life is as it were a house of temptations and trails; but we will not renounce the Lord for as long as He allows the tempter to remain with us and for as long as we must wait to be revived through patience and secure passionlessness! Judas the betrayer was fainthearted and unskilled in battle, and so the enemy, seeing his despair, attacked him and persuaded him to hang himself; but Peter, a firm rock, when he fell into great sin, like one skilled in battle did not despair nor lose heart, but shed bitter tears from a burning heart, and the enemy, seeing these tears, his eyes scorched as by fire, fled from him wailing in pain. 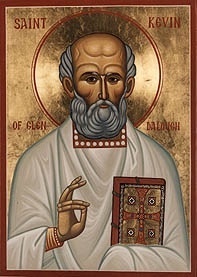 And so, brothers, St Antioch teaches, when despair attacks us let us not yield to it, but being strengthened and protected by the light of faith, with great courage let us say to the evil spirit: “What are you to us, estranged from God, a fugitive from Heaven and evil servant? You dare do nothing to us. Christ, the Son of God, has authority both over us and over everything. It is against Him that we have sinned, and before Him that we will be justified. And you, destroyer, leave us. 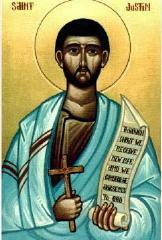 Strengthened by His venerable Cross, we trample under foot your serpent’s head.(St. Antioch, Discourse 27). 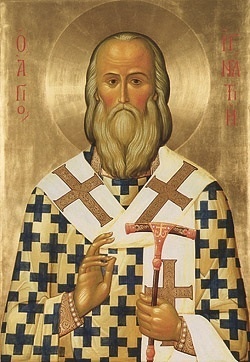 This is the knowledge of the perfect saints: (it is not as some people explain it, but it has its own special power) to put it simply, one must confess that even when one is at the heavenly height of virtue, it is possible– if God abandons him– for him to fall into the abyss of corruption and debauchery! It is not a matter of just saying this with empty words, but one must really feel this way. But one cannot say this with conviction if one does not first pass through the Babylonian furnace of temptations, and if one’s human nature does not slip by God’s permission, so that he realizes his weak constitution. He then sees with whom he has to wrestle, what the wickedness and malice of his adversary (the devil) is, and how difficult it is to rise after a fall! In brief, this is what “know thyself” means. 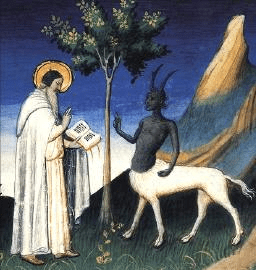 There is a crucial aspect of Orthodox theology that we, as “modern folk” need to concern ourselves with: the study and nature of demonic influence. All throughout the Scripture we see how Christ and the Apostles speak of us battling demons. We see Christ cast them out of people. We see Saint Paul insist, in Ephesians 6:12, that our battle is not against earthly things but against rulers of darkness (demons). He also warns us to avoid the “fiery darts” of the wicked one. Saint James warns us in James 3:14-16 that even bitterness is from demonic forces. Our baptismal rite speaks of casting out demons through the baptism. The fathers spoke often of demonic activity. 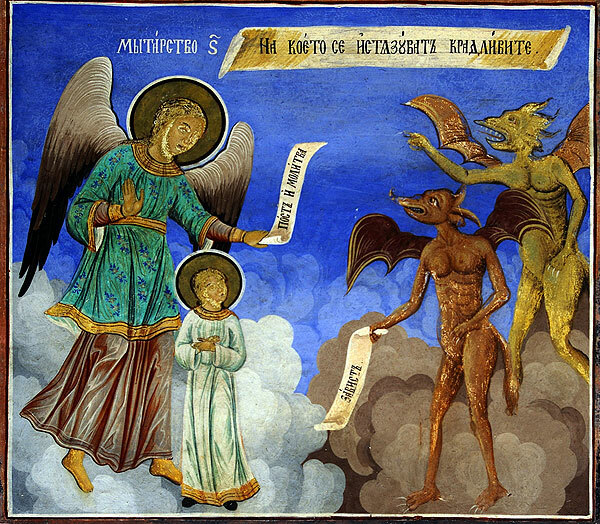 Saint Chrysostom mentions them in many of his sermons, and Saint Paisy Velichkovsky gives us a wonderful breakdown of demonic forces, as we have posted below. We battle against demonic activity. As we will see from Saint Paisy Velichkovsky, the demons are standing by, waiting for an opportunity to pull the right puppet string, the string that we first raised up to them through our partaking with secularism and other demonic avenues. America is full of these avenues! Just turn on the TV or the radio and you will certainly be able to begin “shooting strings” up for the demons to grab hold of. Demons need to be fed! They thrive on a symbolic life of paganism and other anti-Christ philosophies such as secularism, but they also fall by the symbolic. The fathers tell us that the simple sign of the cross wards them off. But certainly we cannot live an “unequally yoked” (as St. Paul says) anti-Christ life and expect our symbols to work on their own. That, I think, is a problem that we have in this modern society! Church on Sunday, and then secularism throughout every other day. Our rich symbolic Traditions are not just for Sunday worship, they should encompass our entire lives: How we decorate our houses, what we listen to and watch, and what we wear on our bodies. Our iconic and festive avenues give us much to grasp on to! 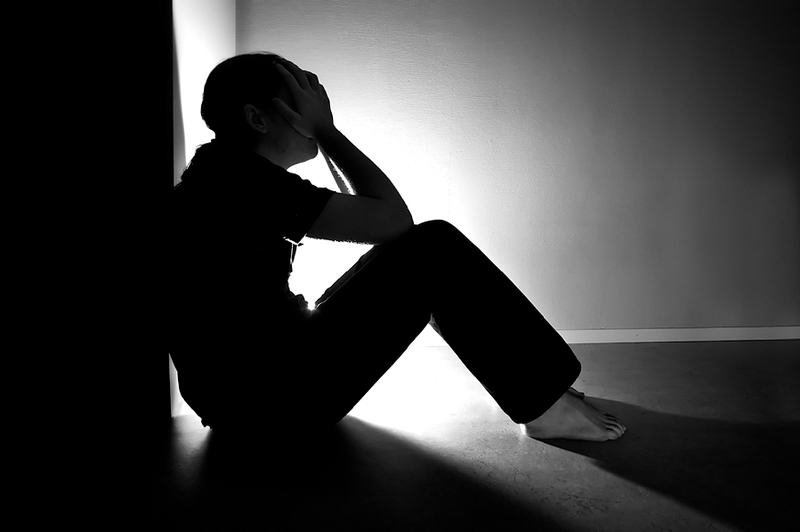 Other ways to conquer demonic force is to be closely connected to a spiritual father, confessing to him on a frequent basis, at least once a month. Confessing, fasting, prayer, worship, alms-giving, and giving your ear to a spiritual father scare the demons away due to the strong dose of humility it takes to accomplish this. We will be posting more on demonic influence on the site in the future, under the Demonic Activity tab, under Early Fathers. We think you will be somewhat jolted (in a good way, of course) on how much the fathers support this reality and also how relative it is to our lives. Pay heed to yourself, O monk, sensibly and diligently, with a vigilant mind, as to when the demons come, by what means they catch one, and by what means they themselves are vanquished. Guard yourself with great caution, because every hour you walk in the midst of passions and nets. Everywhere the passions surround one. Everywhere are set out their traps. Pay heed lest you be attracted by the enemy into his will through passions and traps. There is a great need for us, even essential for us men of flesh, to fight with the fleshless ones—one man with ten thousand enemies. Many tears, much patience, much suffering and caution, and a thousand eyes everywhere are required, for the evil spirits rise up maliciously against us like a lion. They would destroy us if we did not have the Lord with us. They have been very skilled in the art of catching men for more than seven thousand years. Without sleep, food, and rest, constantly, every hour, and by all means, they seek our perdition with every trick and with great effort. Having turned out to be powerless in one way, they think up something else. They start one thing, and contemplate yet another. And they roar about everywhere looking where they might find doors to enter and from where they might begin the battle, and, as it were, trick us into doing evil. Do you not know with whom you battle? How legions of invisible enemies surround you, and every one of them wages his own battle? They sound numberless voices, and desire to swallow up your soul. Should you not be cautious? Is it possible that having drunk your fill and given yourself over to sleep, lying down and constantly consoling yourself, that you can with all this receive salvation? If you will not be attentive to this, you will not escape their traps. We have come to struggle, as it were, stepping into the fire. If we desire to be true warriors of the King of Heaven and not false participants, then let us put far away from us every passion or other. 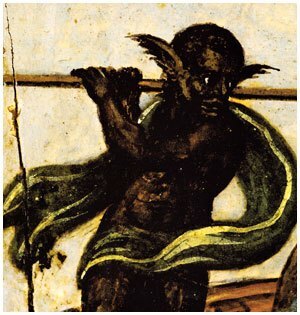 And according to our desire and fervor they tighten their traps, for the occasion to sin belongs to us ourselves, our attachment, weakness; and let us put away from ourselves every negligence and faintheartedness and effeminate weakness, and thus we shall stand against the cunningness of the demons. Let us labor in prayers and other virtues with all fervor and power, with soul, heart, and mind, just as someone might run swiftly on a road without looking around, or as a stingy man might fast, for such is the cunningness of the evil demons. They are constantly occupied with us. Like watchmen they notice our inclinations and our desires, what we are thinking about and what we love, what we are occupied with besides these. Whatever passion they notice in us, they arouse this in us, and thus they place their nets for us. In this way, we ourselves, first of all, arouse against ourselves every passion, being ourselves the cause of it. Therefore the demons seek in us occasion that through our own inclination and desire we might the sooner be caught. They do not compel us to do what we do not desire, to do that from which our mind inclines away and our will does not agree, knowing that we will not obey them. Rather, they test us some, whether we will accept some passion or other, And according to our desire and fervor they tighten their traps, for the occasion to sin belongs to us ourselves, our attachment, weakness, and negligence. We do not cut off the beginning of every passion, but the final cause of every evil is the demons. Through the demons we fall into every sin, and no kind of evil comes to us apart from them. Thus the demons cast us into every passion. They compel us to fall to every sin, and we are tangled in every net. By nets I mean the first thought of desires and various foul thoughts through which we bind ourselves with every passion, and fall into every sin. This is the door of demons and passions, by which they enter into us and rob our spiritual treasury. Immoderate sleep, laziness, eating not at the proper time are a cause of the entrance of demons. And having come, they first of all knock on the doors of the heart secretly, like thieves. They introduce a thought, and they notice whether there is a watchman or not, that is, they see if the thought will be received or not. If it will be received, then they begin to cause passion and arouse us to it, and they steal our spiritual treasure. If they find a watchman at the doors of the heart who is accustomed to belittle and banish their suggestions, if one turns away in mind from the first mental impulse and has one’s mind deaf and dumb to their barking and directed towards the depths of the heart and so does not at all agree with them, then to such a one they cannot do any evil, since his mind is sober. Then they begin to scheme and place various nets to catch us in passion, for example: forgetfulness, anger, foolishness, self-love, pride, love of glory, love of pleasure, overeating, gluttony, fornication, unmercifulness, anger, remembrance of wrongs, blasphemy, sorrow, brazenness, vainglory, much speaking, despondency, fearfulness, sleep, laziness, heaviness, fright, jealousy, envy, hatred, hypocrisy, deception, murmuring, unbelief, disobedience, covetousness, love of things, egotism, faintheartedness, duplicity, bitterness, ambition, and laughter. 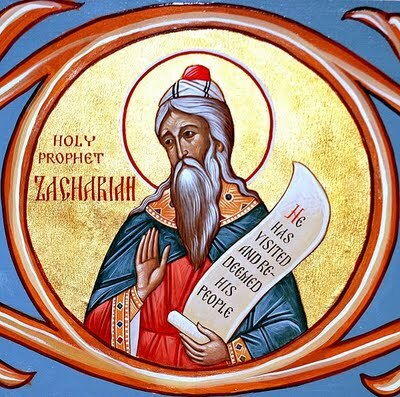 then they arouse a great storm of thoughts of fornication and blasphemy so that the ascetic might become frightened and despondent, or so that he might leave off his struggle and prayer. But if the enemies after raising all this cannot hold and take away from his struggle a firm soul and an unwavering soldier of Christ who, like a passion-bearer, has placed his foundation on the rock of faith, so that the rivers of sorrows do not cause him to waver, then they try to rob him by some seeming good, considering it more convenient under the appearance of good to introduce something of their own and in this way to deprive one of perfect virtue and struggle. Thus they try to compel us to make spiritual conversations for the sake of love, to teach men, or to sweeten the food a little for the sake of a friend or for the Feast, for they know, the deceptive ones, that Adam fell for the love of sweet things. First they begin to darken the purity of the mind and heedfulness to oneself, and by this path they suddenly throw us into the pit of sexual sins or into some other passion. If even by this way they do not cause one to waver who is sober in mind, then they arm themselves with false visions and offend and disturb him by various afflictions. A most skillful warrior lets all this go by him and regards it as nothing, as if it has no relation to him, for he knows that all this is the device of the devil. If even thus they do not conquer, then they battle by means of highmindedness. They introduce they thought that the man is holy, saying to him secretly, “How many afflictions you have endured!” The demons, like a clever hunter, when their first means turns out to be powerless, abandon it, go away, hide themselves, and pretend to be conquered. But beware, O man, pay heed, do not be lax, for they will not depart from you until the grave. But they will prepare a great sedge and will look attentively by what means they can again begin to rise up against you, for they do not rest. When the warmth of fervor grows cold in a struggler, they then secretly, having prepared some net, come again and lay them out and try to catch him. In all the paths of virtue, the devils establish their nets and hindrances when we fulfill heedfully every deed for our salvation and not out of pleasing men, or from some other idea. But if in virtue there is hidden some kind of impurity, pride, vainglory, and highmindedness, then in such a matter the devils do not hinder us, but they even inspire us, so that we might labor without benefit. The demons strive for nothing so much as by every crafty means to steal time and make it idle. In everything that the demons do, they strive to dig three pits for us. First of all, they act against us and hinder us so that there will be no good in all our acts of virtue. In the second place, they strive so that the good will not be for the sake of God. That is, having no opportunity to bring us away from good, they make efforts through vainglory to destroy all our labors. In the third place, they praise us as if we turn out in everything to be God-pleasing. That is, being unable to confuse us by vainglory, they strive by highmindedness to destroy our labors and deprive us of rewards. Every demonic battle against us is in three forms. First, the devils darken our mind and a man becomes forgetful and dispersed in all his works. Then they introduce an idle thought, so that through it we might lose time. Finally, they bring various temptations and afflictions. Therefore, of us it is demanded that at all times we should be very sober of mind, for the enemies ceaselessly are making tricks and acting against us. If one struggles for many years, the enemy seeks a convenient time, so as in a single hour to destroy his labors. Not many men see the numberless traps, devices, and tricks of the demons. As a fleshless spirit the demon does not require rest, and through a long life he has learned to catch men. Therefore, no one can escape the tricks, the ruinous nets, and pitfalls of them, except one who remains in bodily infirmity from constant struggle, and who lives in spiritual poverty, that is, with a contrite heart and in humble thoughts. Such a one will conquer them. Most of all, the Divine Help cooperates with us. However, in us, as we have said previously, is the beginning of all passions, attachment, weakness, and negligence, because we do not renounce in soul and thought and do not cut off the first impulse of every passion that comes. And the demons add yet more. Seek within yourself the reason for every passion, and finding it, arm yourself and dig out its root with the sword of suffering. And if you do not uproot it, again it will push out sprouts and grow. Without this means you cannot conquer passions, come to purity, and be saved. Therefore, if we desire to be saved, we must cut off the first impulse of the thought and desire of every passion. Conquer small things so as not to fall into big ones. It is evident that God allows one to be overthrown in battle by the demons or some stubborn passion because of our pride and highmindedness, when one considers himself to be holy, or strong, and trusts in himself, and exalts himself above those who are weak. Let such a one acknowledge his own infirmity, acknowledge the Help of God, and be enlightened. Let him understand that without God’s Help he can do nothing, and thus he will humble his thought. Or again, this is allowed as a chastisement for sins, so that we might repent and be more experienced in struggle. Or it is allowed for the sake of crowns of victory. However, in that in which you are conquered and from which you suffer, before all other passions you must arm yourself against it and for this use all your fervor. Every passion and suffering is conquered by undoubting faith, by labor of heart and tears, by warm fervor and quick striving to oppose the present passion. This is a high and praiseworthy struggle, as taught by the Holy Fathers. Every warfare of the demons against us comes from and is reinforced by four causes: from negligence and laziness, from self-love, from love of pleasure, and from the envy of the demons. May the Lord preserve us by His Grace from all nets of the enemy and passionate works, unto the ages of ages. Amen.